KITsubs: Kamen Rider Episode 26! Before we say anything about this release, I have to give a HUGE thanks to HeatMetal from Over-Time, for helping us TL check this script. He did quite a bit of editing too, and I was really happy having his input on some tricky dialogue! Those boys (and girls) do some good work, so be sure to go check them out for some SPACE-TIME when you get a chance. This episode is a doozy. It might not seem like it at first, because AntHellstorm (while hilarious looking) doesn't really do much. But that's not the point of this episode. We quickly realize that the REAL purpose of this episode is to introduce Shocker's first commanding officer... Colonel Zol! Those who have seen All Rider vs. DaiShocker might recognize this as the guy that Narutaki turned into when whatever-the-heck-was-going-on happened. But the real Zol is so much more awesome than that. Played by Jiro Miyaguchi (real name, Akiyama Tadafumi) Colonel Zol really reminded us that Shocker was made up of the ancestors of Japan's Nazi army. His calculating expressions and razor sharp uniform would become the epitome of a Shocker commanding officer. Miyaguchi would return in Kamen Rider V3 to reprise this role, and he guest appeared in some other tokusatsu shows of the era. Including episode 6 of Kikaider 01 as Red Centipede. He was more well known for his roles in procedurals, and period dramas. He passed away in 1995. So with this, we see the beginning of a new arc for Kamen Rider. 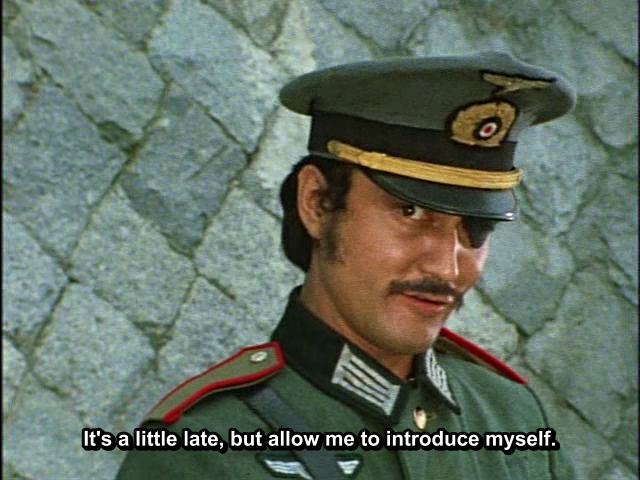 The show will shift more from a monster-of-the-week brawl fest, and we embark on Hayato Ichimonji's battle to take down the fist Shocker commanding officer that we meet. Thanks for watching (remember to keep those torrents seeded!) and we'll be back next week with one of the MANY new episodes we're working on. Check the status bar for an idea of just what we've got on our plates for the coming months. Have I told you lately how awesome you guys are! thanks as always. @Wrigh - I haven't had a chance to read it yet, but I can't wait for my next free day to check it out! I'm really excited about Robot Detective. I'm a huge fan, so hopefully UK Windom and you guys will let me get a look at the TL in progress. I'd love to give some input! @Shonokin - You're welcome, and thanks for the declaration of awesomeness. It means a lot to us! I would like to get only the file with the archive of this subtitle , where can I get it, please?